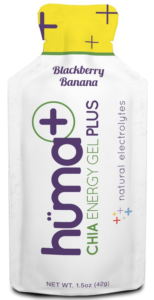 Huma Plus has added electrolytes not found in the original Huma Gel, for more than TWICE the price of e-Gel. Not only does e-Gel have all the electrolytes you need, but it is also loaded with complex carbs for sustained energy, low sugar levels to avoid blood sugar spikes and all the electrolytes you need to maintain hydration and avoid cramping. Huma Plus Gel is loaded with simple sugars (62%) and has no amino acids or antioxidants. e-Gel contains less than 1/3 the amount of simple sugars in Huma Plus Gel. Watch this video to learn why you should use primarily complex carbs and limit your simple sugars. Electrolytes are critical to maintain hydration and to avoid cramping and injuries. e-Gel has over twice the amount of sodium and 100% more potassium compared to Huma Gel, and is designed to meet the American College of Sports Medicine’s recommendations.